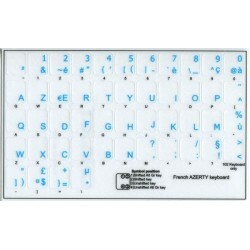 The French AZERTY stickers are designed and made of matte high quality, transparent vinyl, with all characters/letters being printed underneath the film. 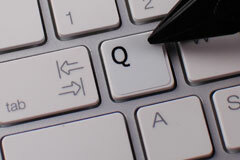 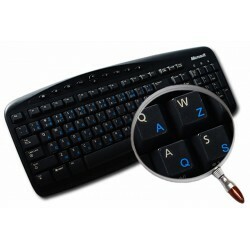 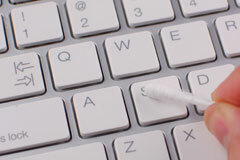 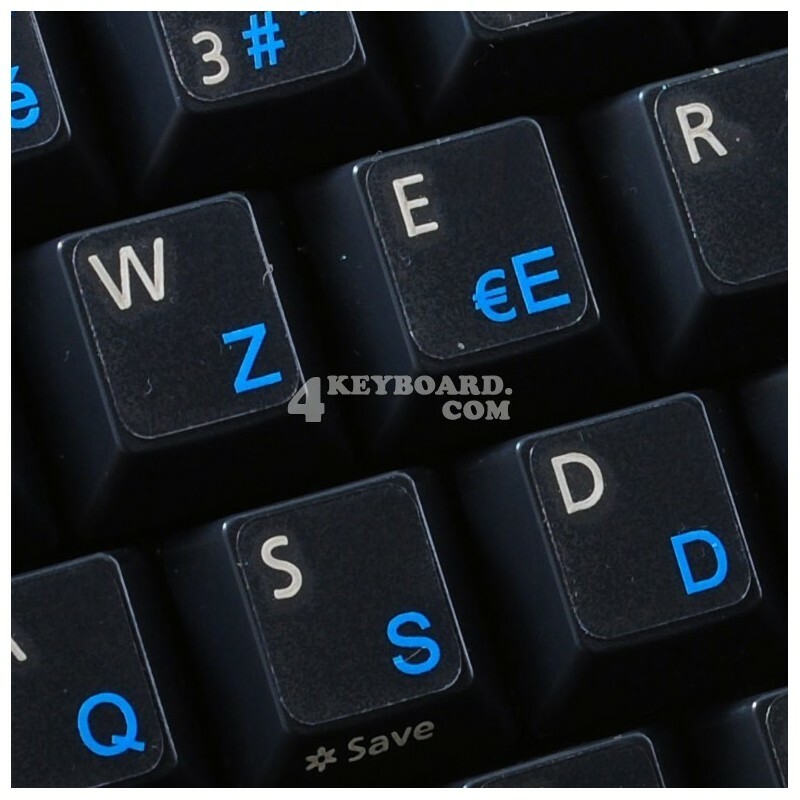 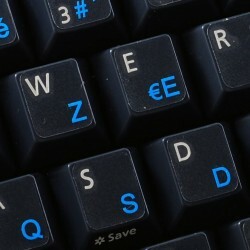 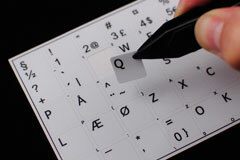 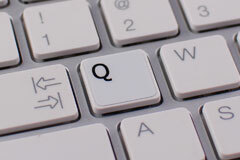 The French AZERTY characters/letters are spread onto transparent (clear) - matte vinyl, in different colors, suitable for most keyboards, regardless their color or hue. 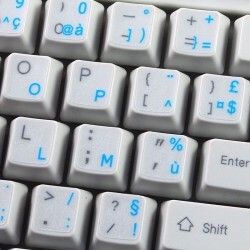 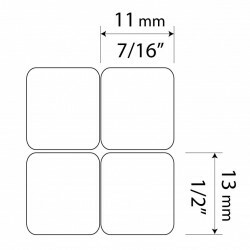 English characters are located underneath each sticker in order to accurately indicate which French AZERTY sticker/character to apply onto which corresponding key. 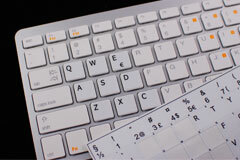 Application process doesn't take more than 10-15mins. 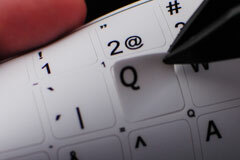 And you can enjoy your brand new, bilingual - French AZERTY - English keyboard.